FREE quote for your Auto, Home, Life, Business insurance. When you successfully complete the approved 6 hour online defensive course, you'll qualify for a reduction on your automobile insurance for three years. When you successfully complete the Delaware Department of Insurance approved online defensive course, you'll qualify for a reduction on your automobile insurance for three years. 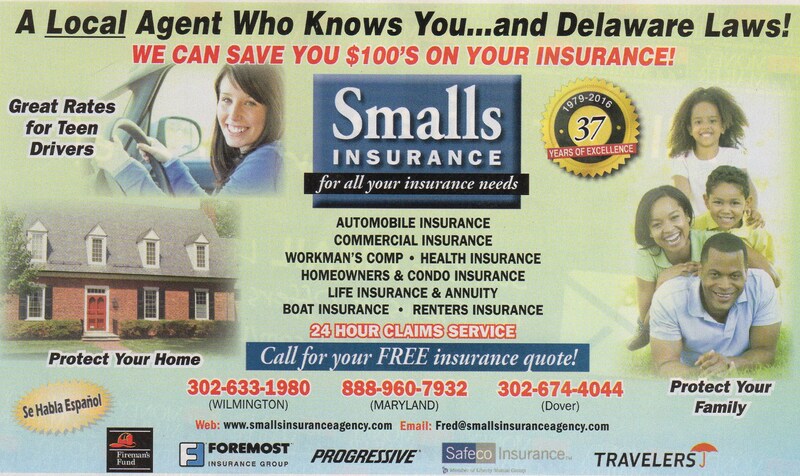 Fred Smalls and his staff would like to give you a FREE quote for your Auto, Home, Life, Business insurance. We can SAVE you hundreds for your insurance needs! Liberty Mutual, Jackson National, Hartford, Ohio Casualty Insurance,Zurich, Foremost, & many more. Copyright © 2019 Smalls Insurance Agency, Inc. - All rights reserved.